The developments in the Bulandshahr case show show up the dangerous times in which the citizens of UP live under the Adityanath government. 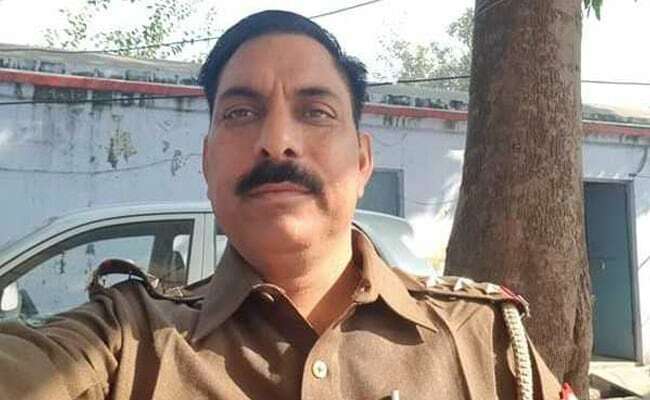 This is the case where the discovery of the carcasses of cows in a farmer's field last month led to widespread violence resulting in the brutal killing of police officer Subodh Kumar Singh. The Chief Minister made it clear that he was more concerned about the so-called cow slaughter than bringing to book the murderers of an officer on duty. His government set up a Special Investigation Team to enquire into not the murder, the violence, or who was responsible, but into the "killings" of the cows. During a recent visit to villages in the area, it was quite obvious that people were questioning the official investigation in the case which seemed to have little credibility. Consider this. The cattle remains had been sent for post-mortem on December 3, the very day they were discovered. The post-mortem report signed by five veterinary officers of the district clearly stated that the remains sent to them were 40-50 hours old. In other words, the animals (not confirmed to be cows in this report which referred to the remains as from the cow family "gauvansh") were not killed on the site of the field at all, but the remains were brought and placed there by some people. In spite of having this information from the postmortem report, the Adityanath government went by the statement of the ring-leader of the mob violence, Yogesh Raj. This man, a leader of the Bajrang Dal, had stated to the police, according to the FIR, that he had seen seven Muslims from his village of Naya Bans, including two minors, all of whom he named as "cutting the cows which hurt my Hindu sentiments and when we shouted they ran away." Not only was this a lie, but it was a communally motivated toxic lie, and yet the government, knowing from the post-mortem report that no cow had been slaughtered in the field that day, went ahead and arrested the Muslims named by him. His role in the violence, along with that of his cohorts, was soon enough exposed, but he could not be "found" by the police till ten days later, while those innocents named by him were immediately arrested and locked up in jail. Shamefully, it took two weeks for the police and the SIT to admit that there was no evidence against them whatsoever and that their call records showed that they were not even in the vicinity. The SIT had to file a report on December 19 saying that those arrested should be released. In the light of the post-mortem report, the first question which the investigation had to answer was where and whose cattle had been killed and what was the motive behind the shifting of the remains and who did it? What was the motive of Yogesh Raj to implicate innocent people, all Muslims? Since others of his gang had also signed the statement, was it a more deep-rooted conspiracy? Instead of doing so, the police arrested innocent people. But even after this grave injustice, more diversionary theories are being floated which again implicate innocent people. Knowing that the news that all those arrested were innocent would fully expose the Adityanath government, the SIT filed a fresh report the day before the release of the seven, naming three other Muslim men as being responsible. This FIR of December 18, stated that the report was based on news received from a "mukhvir" (a police informer). It is well-known that the police can get their so-called informers to make any kind of fake statement to suit the government. This time, the theory floated was that the cows had been shot. The post-mortem report did not mention any such possibility. But the police arrested three men. One of them, Nadeem, is a trained rifle shooter, having participated in many competitions including as a member of the national team. He has a licensed gun. His house was raided, his gun confiscated and an old Gypsy van in disrepair was also taken away by the police. The news, leaked to the press, was that it was the vehicle used to transport the meat. How can you make sense of this complete nonsense? Why should a Muslim shoot cattle and then go all the way to a non-Muslim village to dump the remains, knowing that the chances of him being caught would be very high? So far, the accusation in cases of cow slaughter has been that it is done to consume the beef. In this case, why then would the meat have been thrown? Moreover, the farmer on whose field the remains had been found had hired labour to protect his sugarcane crops from stray animals and also to help cut the cane. They would have been aware of any such vehicle movement. But none of this is of concern to those doing the investigation. Their agenda is clear enough and it is not to get to the truth. But it does not end here. There is another story to be told, that of Mehboob Ali and Arvind Sharma.These two, residents of Siyana, are very close friends, quite inseparable. They are also recognised as activists taking up various issues. Recently, they ensured the victory of an independent candidate to the post of Chairman of the municipality who defeated the candidate of the BJP. Mehboob runs a successful transport business. Arvind helps his family's agricultural work. Arvind's father, Khemchand Sharma, is an army pensioner and at present the President of the Brahmin Samaj and very well-regarded in the community. Incidentally, the Sharma family are strict vegetarians. Today, both of them are locked up in the Bulandshahar jail, charged with cow slaughter. They, too, have been arrested in the case. Arvind Sharma is perhaps the first Brahmin in the whole country who has been accused of cow slaughter and jailed by the BJP. The crime is because he is friendly with a Muslim, and they have dared to work against the BJP. 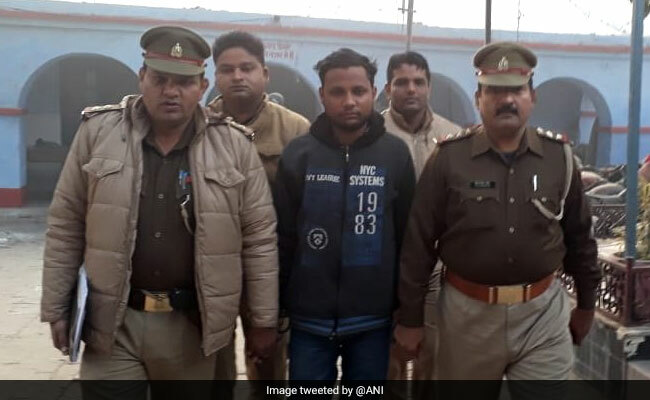 In a state where "love jihad" and gau raksha are code words for cruelty and violence against selected targets (it could be a Muslim, a Dalit or a Hindu girl who has chosen a Muslim as her partner), a new crime has been added - that of Hindu-Muslim dosti. Arvind and Mehboob have remained friends even at the worst periods of communal violence; they are being punished for it today. Since their arrest is so outrageous and they would have got bail, the day before the bail application was to be moved, the government involved the National Security Art against Mehboob and Nadeem. When officers were asked why Arvind was also not charged under the NSA since he is accused of the same offense as Mehboob, the answer was that orders were only for those from the minority. The investigation is a farce. It is not to uncover the truth, it is to conceal the truth. Mehboob and Nadeem are jailed under the NSA, they cannot get bail. Yogesh Raj and his Sangh Parivar cohorts, who led the violence whose communally driven motives were and are absolutely clear, have not been charged under NSA, aided and abetted by a biased government. The case is a classic example of how conspiracies to heighten communal polarization are organised to gain electoral advantage. These are indeed dangerous times for the citizens of Uttar Pradesh. 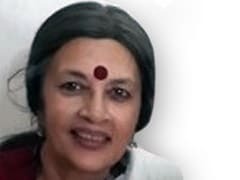 Brinda Karat is a Politburo member of the CPI(M) and a former Member of the Rajya Sabha.